Jorge Lorenzo believes he is the one rider who can end Marc Marquez's winning streak and take the 2015 MotoGP championship for Yamaha. Lorenzo is fitter and stronger – mentally and physically – than a year ago when his title challenge was in disarray after just two races. With his pride still stinging from a disastrous 2014 campaign Lorenzo is convinced he is the one capable of dismantling the bold bid by Marquez and Honda for a third consecutive title. 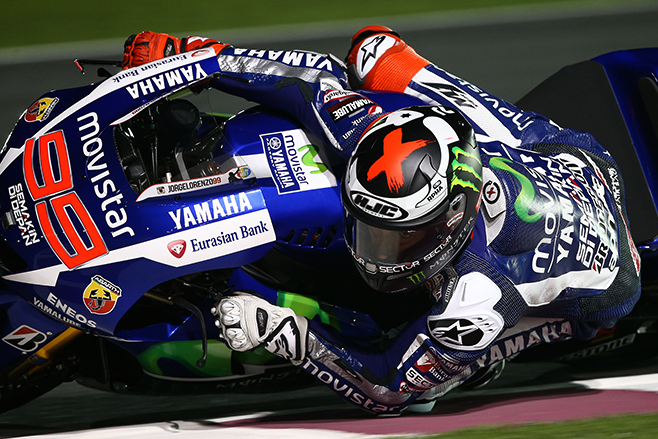 “I clearly believe that if the Yamaha is competitive I can win the championship again,” Lorenzo said. “When we are both at our best level probably Marc and I have some small tenths over Dani Pedrosa and Valentino Rossi, and maybe three or four tenths over the others. Apart from the retired Casey Stoner then Lorenzo (2010 and 2012) and Marquez (2013 and 2014) have won four of the past five world championships. A year ago Lorenzo turned up flabby and slow and predictions that 2014 was going to be a Spanish civil war with Marquez never materialised. Marquez won ten consecutive races while Lorenzo’s campaign was in disarray after just two races – a crash in Qatar and a bizarre jump start in Texas. This Lorenzo has an upgraded Yamaha M1 with a full seamless shift gearbox and a new mindset after the mistakes of last year. “I learned some lessons last year. That your physical condition is very important in MotoGP and also not to get anxious when things are not good on the bike,” Lorenzo said. “And also don’t start before the red lights go out! 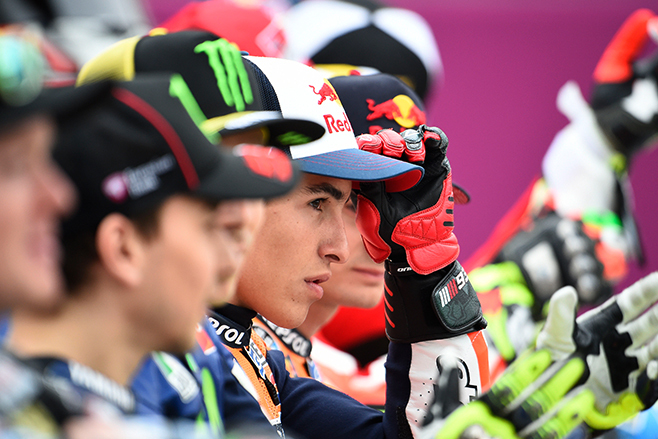 “And while it is true that Marc won in 2013 in his rookie year in MotoGP I lost my chance with some crashes. Without those crashes I believe I’d have won that championship (2013). “Obviously I could not have not won last year but nobody put a gun to my head and told me to crash. I crashed with my own mistakes and I have learned from it. With a strong burst Lorenzo won two of the final five races of 2014 and out-scored Marquez at the back-end of a season in which Marquez won 13 races. Not lost on Lorenzo is that his third place in the 2014 title was his worst since his rookie 2008 season when he was fourth.